LiveCode LessonsLiveCode LessonsHow To - Step-By-Step Guides To Tasks In LiveCode Creating User InterfacesHow do I Create an ANSI Font Menu? This lesson will show you how to create an option menu that displays all of the ANSI fonts available on the computer. 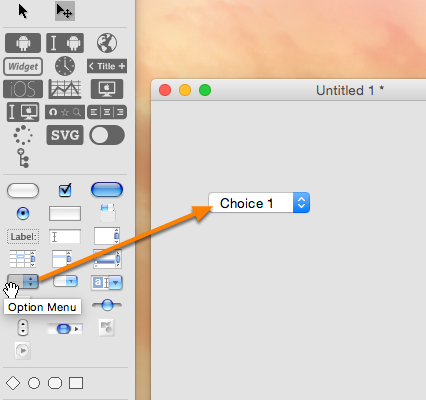 Drag an option button from the Tools palette onto a stack. Open the script editor of the option menu and enter the script below. 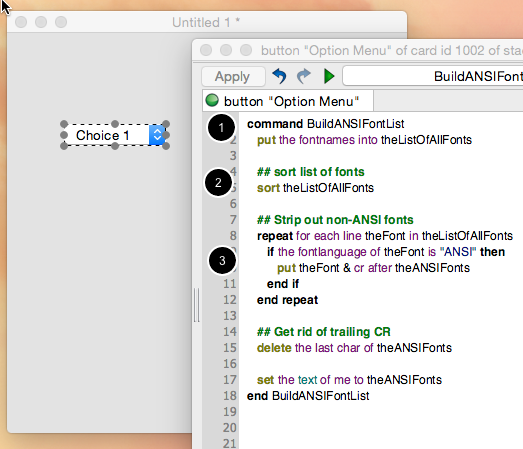 This option menu will respond to the "BuildANSIFontList" message and populate the option menu with ANSI fonts. The script begins by getting all available fonts on the system (1) and sorting them (2). The script then checks the fontlanguage of each font and filters out any fonts that are not ANSI fonts (3) before assigning the font list to the option menu. 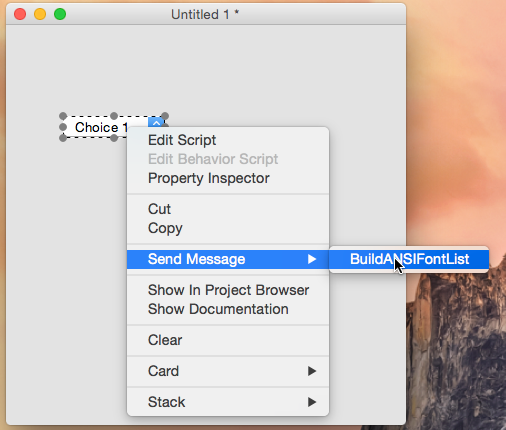 Build the font list by sending "BuildANSIFontList" to the button by right-clicking on the menu and selecting the Send Message > BuildANSIFontList menu item. Alternatively you can use the Message Box to send the message to the menu. Switch to Run mode. 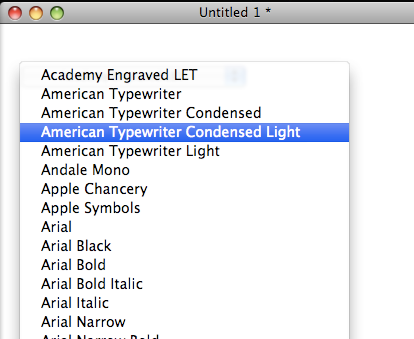 Click on the option menu to view the list of fonts.